Nina O'Neal has contributed to and written articles for various national media publications. She is also regularly sought out as an industry participant in think tanks and other events to continue to shape the future of the financial services industry. Below is media, articles, and events in which she has been featured. March 2018 - Nina O'Neal contributes an article for advisors regarding selecting a broker dealer to Financial Planning Magazine. MATT ARCHER AND NINA O'NEAL DISCUSS WITH ABC 11 MARKET FLUCTUATIONS. February 2018 - Matt Archer and Nina O'Neal discuss with ABC 11 market fluctuations and how investors should react. NINA O'NEAL CONTRIBUTES ARTICLE REGARDING TECHNOLOGY AND BUSINESS CONTINUITY TO FINANCIAL PLANNING MAGAZINE. December 2017 - Nina O'Neal shares the story of how fires in downtown Raleigh did not interrupt the firm and how the implementation of financial technology is critical for advisers for business continuity, office efficiency, and client communication. October 2017 - Nina O'Neal shares our story of how we have built a successful multi-generational practice - by giving the same service and care across all generations. 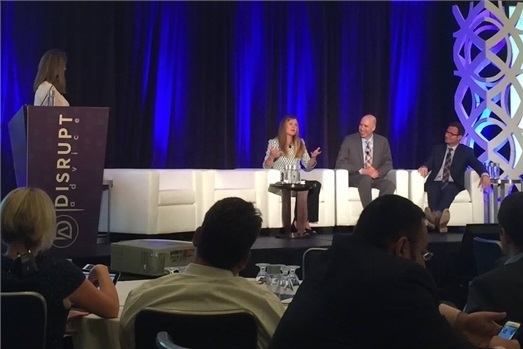 September 2017 - Nina O'Neal spoke about how our firm has integrated technology and tried to enhance the client experience as well as optimize operational processes and procedures during the Financial Planning Magazine Disrupt | Advice industry conference in New York, NY. September 2017 - Nina O'Neal contributes to the article "What Younger Clients Want Isn't Too Difficult" in Financial Advisor magazine. Nina explains what younger clients are looking for in a financial advisor and the benefits of having a younger financial advisor. June 2017 - Nina O'Neal was invited to participate, along with only 37 other financial service professionals, in an exclusive Think Tank hosted by InvestmentNews about the Future of the Financial Services Industry. The group spent all day at the University Club in New York, NY in discussion of what they see among changes in client communication, investment management, technology, and many other topics. InvestmentNews used this information to create informational white papers, reports, and articles to inform the industry on what the future may look like. June 2017 - US News quoted Nina in an article discussing two key tips that lead to a better retirement, working longer, and delaying social security. April 2017 - Advisor Websites wrote an article, "Nina O'Neal: Spotlight on Women in the Financial Industry", to gain insight about the lack of women's presence in the financial industry today. Nina shares her accomplishments and provides financial advice about why this shortage has occurred and how to overcome it. December 2016 - TheStreet speaks with Nina O'Neal in "5 Biggest Mistakes Couples Make in Retirement Planning" about the dangers of prematurely purchasing a retirement home. August 2016 - Nina O'Neal discusses how Archer Investment Management handles Social Security planning with Investor's Business Daily in their article "Advisors Guide Clients Through The Complexities of Social Security". July 2016 - Nina O'Neal interviews with The Washington Post to discuss the realities of budgeting in "The make-or-break factor in retirement: Keeping a budget". July 2016 - InvestmentNews selected Nina O'Neal to provide strategies and tips to other businesses in the finance industry on Season 5 of "Practice Makeover". She gives insight on the importance of customer relationship management technology in the workplace. June 2016 - InvestmentNews named Nina O'Neal as one of its 2016 40 Under 40. Based on accomplishments to date, contributions to the financial advisory industry, leadership and promise, she was chosen from more than 800 nominations. January 2016 - InvestmentNews chose to cover Archer Investment Management on its video series "Practice Makeover".